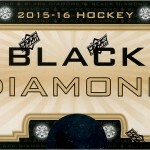 A box of 2017-18 Black Diamond Hockey sells for around $165 USD online. 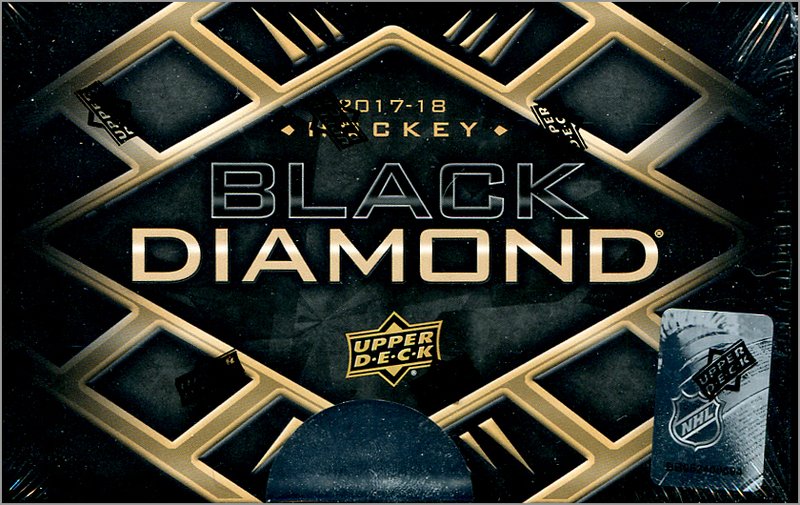 A box consists of one five-card pack of Black Diamond, and one “bonus pack” of 2017-18 Exquisite, which contains one card. So, that boils down to roughly $27.50 per card. Is it worth it? Let’s take a look and find out. There are 50 base cards in this set, and each base card is numbered out of 249. The base cards are printed on thicker stock, and are roughly the thickness of four or five cards. At first glance, I thought this was an autographed card missing the autograph at the bottom. 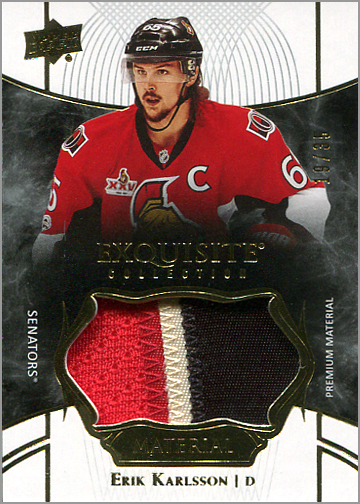 The background behind Erik Karlsson is shiny and did not scan well. There are also rookie cards, but I did not get any. There are also memorabilia parallels of most of the base cards. 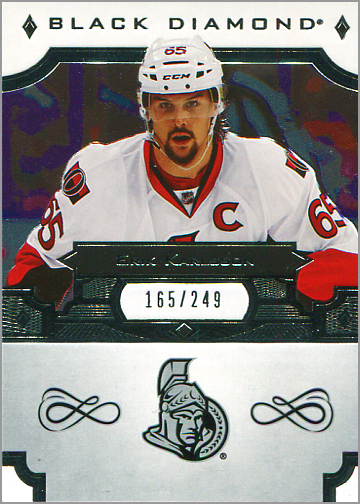 Since this card is pretty much all foil, I took a photo instead of a scan. Unfortunately, the poor lighting of the photo makes the jersey look black and white, when it is actually blue and white. At first, I got excited; a jersey card of Bro-Dog? Yes! Then I flipped it over and realized that it is a manufactured patch. Still, it looks cool, but I think if a card company makes manufactured patch cards, said cards should be numbered out of 25 or so to give them some feel of rarity or exclusivity. I mean, the base cards in this set are numbered, so why not all of the “hits” as well? This is my favorite card from the box. 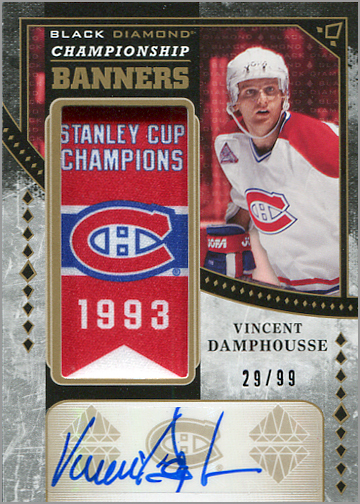 The Stanley Cup banner is obviously a manufactured “patch,” and Vincent Damphousse’s autograph is on a sticker, but I don’t care. This card looks cool! A whole set of these would be sweet. 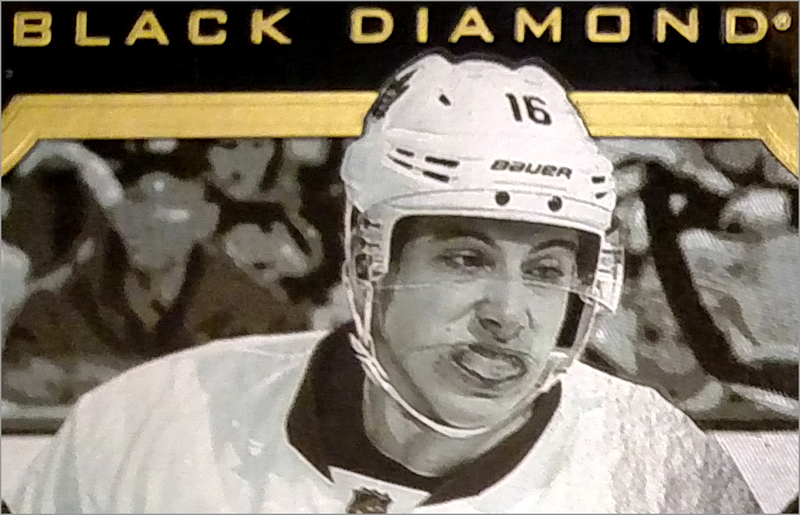 I even like the fact that Upper Deck used a photo of Damphousse from the 1992-93 season. Little details like that can make a good card a great card. This “Championship Rings” card looks awesome when held in direct light — the ring is printed on multi-color hologram stock. For some reason, though, the card itself is printed on super-thick card stock, which means that if you did track all of these down you couldn’t put them in pages. 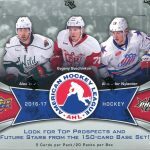 What I like about 2017-18 Black Diamond Hockey: Less base cards — really, who bought Black Diamond for the base cards? — and more hits. The Championship Banners cards look cool. That bonus Exquisite card was really, well, exquisite. 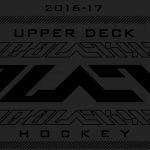 What I don’t like about 2017-18 Black Diamond Hockey: For the price, I feel that there really should be a second autograph per box. 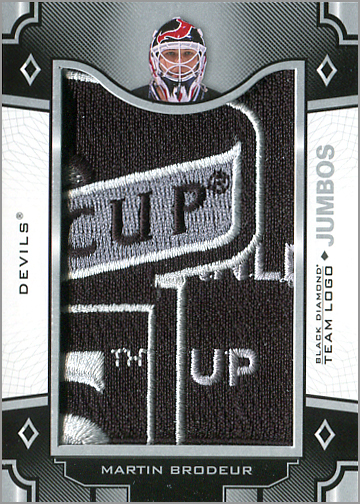 And if a company is going to include manufactured patches, at least number them to make them a bit more desirable.